Starting this Thursday, June 16, 2016, our friends at Vision Engineering will be presenting their three-part Electronics Academy Webinar Series. This FREE series will be hosted by industry expert, Bob Willis. Bob will provide an in-depth look at the topic of PCB/SMT assembly and the challenges of attaining Zero Defect Manufacture. Sharing his expertise and indispensable insight, Bob’s tips will help you recognize and comprehend common causes of solder joint failure. This Thursday, the series kicks off with the Solder Joint Inspection & Process Defects Webinar. This hour-long session begins at 9:30 EST, and focuses on inspecting conventional and surface mount solder joints in relation to industry standards such as IPC 610 and IPC J-STD-001. Bob will also present a few of the most common joint failures and how to address them. The second Webinar in the series, Counterfeit Component Inspection & Detection, begins at 9:30 a.m. EST on Wednesday, June 29th, 2016. This time around, Bob will examine the importance of first-level component inspection, how to test for counterfeit components, and the importance of photographic documentation to identify and avoid expensive mistakes. The current series will wrap up on Thursday, July 21st, 2016, with the Conformal Coating Inspection & Coating Faults Webinar. Also beginning at 9:30 a.m. EST, this session looks at the application of, and issues pertaining to, conformal coating. Bob will discuss the inspection of coatings, creating inspection standards, and how to correct common process defects. Visit Vision Engineering’s Electronics Academy Webinar Series page to register today. Bob Willis is a world-renowned surface mount and area array technology expert. 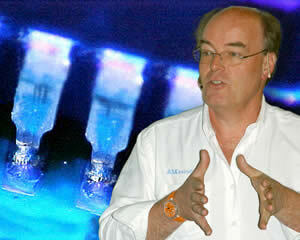 For thirty years, he has trained and consulted electronics production staff and engineers around the world. Bob is a Fellow of the Institute Circuit Technology, an NVQ Assessor, Member of the SMART Group Technical Committee, Member of the Institute of Quality Assurance, and Society of Environmental Test Engineers. Vision Engineering’s ergonomic inspection solutions are widely used for optical inspection applications by electronics manufacturers around the world. Using Vision’s technology, manufacturers improve their successes, save money, and achieve better quality control. Q Source has been an official Vision Engineering distributor since 2007. Shop our Vision Engineering Department at QSource.com for dozens of microscopes, inspection systems, and related accessories. You may also contact us by phone (800-966-6020), email, or via our Web site. Thank you for reading. Please leave your comments, questions, and suggestions for us by clicking on “Post a Comment.” We also encourage you to share this post via the social media icons below. Subscribe to our email newsletter for additional Q Source product information, reviews, how-to articles, and special offers.